“Better Tomorrows,” SickKid’s most ambitious fundraising campaign to date, harnesses the power of film and real patient experiences to communicate the breadth and depth of its services. The campaign from the hospital’s agency of record JWT, carries the tagline “Make their tomorrow as good as your today” and includes 42 TV spots, each featuring an actual SickKids patient and their families. 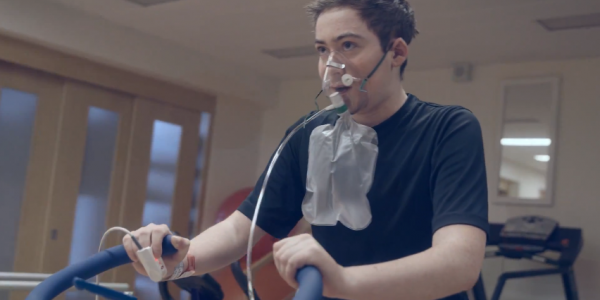 Aged four-days to 18-years, some of the patients are suffering from cystic fibrosis or a variety of childhood cancers, while others are awaiting organ transplants. Coldplay’s “Fix You” is the connective thread running throughout each spot. To help drive conversation and donations, a social campaign called #giveaday for SickKids is also running. #giveaday encourages people to give up something they cherish in their day, such as a latte, or game of golf, and donate the value of that item or experience to the hospital. The process of gathering and collecting material began in early September, and SickKids, along with JWT and Sons and Daughters, are still in the process of filming some of the remaining spots. “It was a matter of making sure we had enough stories to tell…and it’s sort of hard to nail down what you might be able to capture. We have a team that is just constantly over at the hospital walking around trying to understand who’s coming in, who’s having what done…and would they let us into that moment,” she said. Shot by production house Sons and Daughters, each 30-second commercial will air on conventional and specialty channels Monday through Friday until December 21 (one spot for each day.) They can also be viewed on the SickKids Foundation’s YouTube channel. Additional spots, not airing on TV, will begin running in Cineplex movie theatres Nov. 15. The campaign also includes print ads running in Metro and the Toronto Star, digital and out-of-home. Media planning and buying was handled by Mindshare.